Most people create a blog because they want other people to read it. However, if your promotional efforts end at hitting Publish on the WordPress back end, you may find that traffic has been hard to come by. On the other hand, perhaps you’re planning to launch a blog and you want to make sure from the beginning that as many people can find it as possible. That’s where Search Engine Optimization (SEO) comes in. Readers will usually find your content through a search engine such as Google, and SEO is the process of ensuring that your website is visible and highly ranked within those search engines. In a nutshell, using SEO techniques increases the likelihood that when someone searches ‘train a puppy’, your blog post ‘How to Train a Puppy’ will turn up on the first page rather than the tenth. In this article, we’ll cover eight of the most effective tips for improving your blog’s SEO. Some of these techniques are simple technical tricks, and others are long-term strategies. Let’s begin! 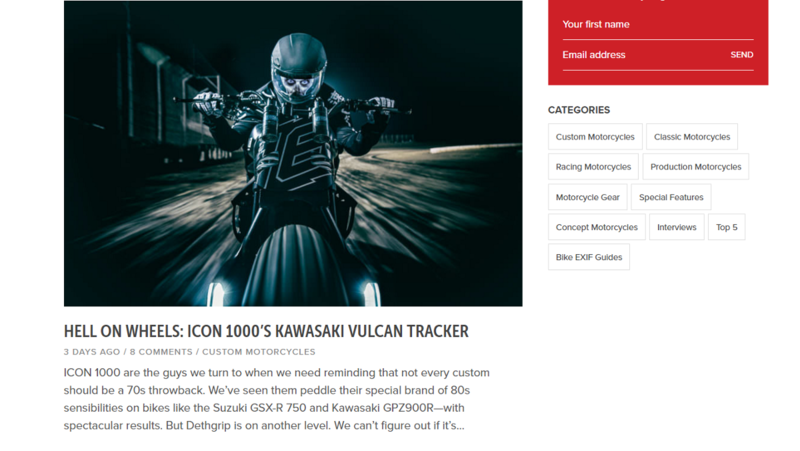 Uncode’s Blog Masonry is a creative, SEO-friendly layout. 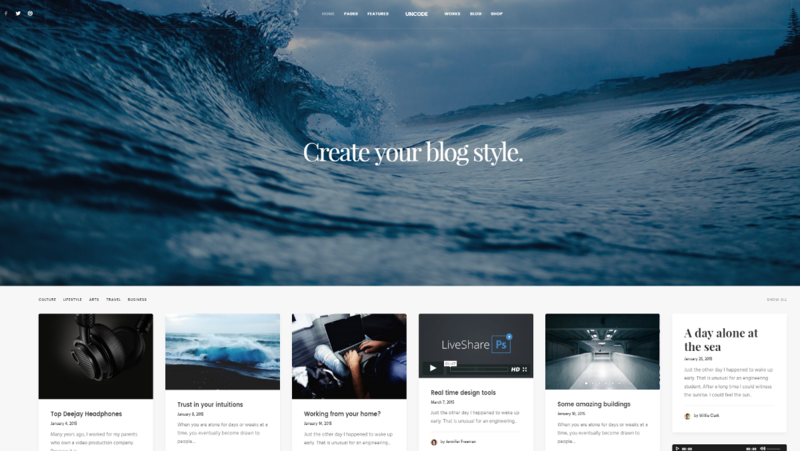 Selecting the right theme for your blog can set you up for success by making your later SEO efforts easier and more effective. An SEO-friendly theme is designed with search engines in mind. It knows what factors the ‘bots‘ prioritize, and is optimized with features that cater to those priorities. Clean code. The theme’s code should adhere to best practices and implement a coherent structure that bots can easily follow and understand. Responsiveness. Google’s ranking algorithms are influenced by whether or not a site is responsive. Speed and performance. All other thing being equal, sites that loads quickly and perform well across browsers and devices will rank better. Unless you’re a developer, it can be difficult to spot which themes adhere to the above criteria. That’s why our advice is to choose a reputable theme provider you can trust. Naturally, we’d recommend our very own Uncode theme. 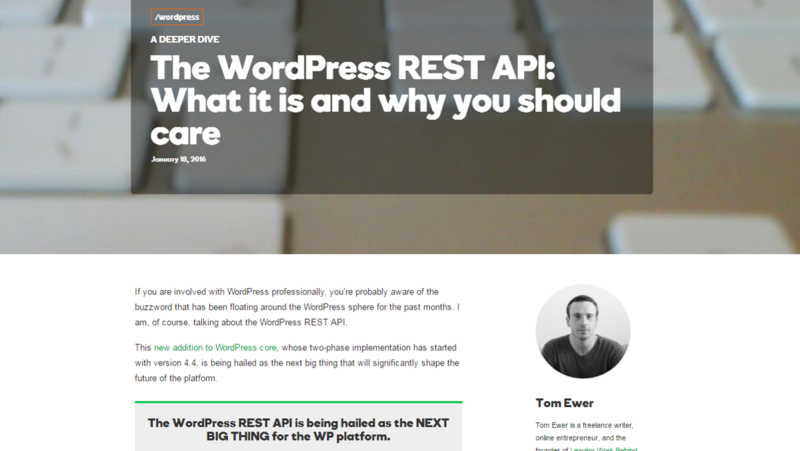 It was designed – and continues to be updated – with the above best practices in mind. The Yoast SEO plugin provides a comprehensive optimization package. A well-designed theme can provide a perfect framework for your SEO efforts. However, you’ll also want some SEO-specific tools. Fortunately, there are plenty of dedicated plugins that enable you to customize how posts will appear in search results, optimize your content for SEO, and include extra information for search engines (such as meta descriptions). Yoast SEO. This is one of the most widely-used SEO plugins. It lets you view and customize what your posts will look like in search results, analyzes your posts and tells you what you can do to improve them, helps out with technical tasks like editing your robots.txt file, and automatically optimizes your site and its pages in a number of ways. Google XML Sitemaps. An XML sitemap organizes your blog into a format that is easy for bots to navigate and index. This plugin will generate a sitemap for you and keep it updated. WPSSO. If you want to automate your SEO, this is a good plugin to try. It creates tags and provides key information to search engines, all without any effort on your part. While many plugins offer single functions or partial solutions, Yoast SEO is your best bet if you’re looking for an overall SEO package. It’s incredibly comprehensive, and you can always add additional plugins later as needed. 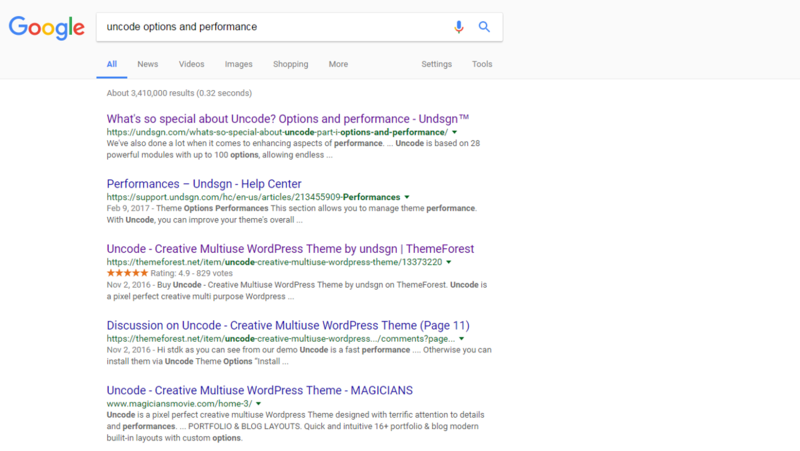 A Google search for the keyword “uncode options and performance” shows related web pages. Now that we have some SEO tools in place, we can focus on the core of your blog – its content. One effective strategy to use while writing posts is implementing keywords. Targeting relevant keywords for each of your blog posts and optimizing your content for them is a relatively simple way to make those posts more visible. Choose a 3–5 word unique keyword for each new post. Pick a keyword that matches how people are likely to phrase their search term. For example, ‘how to install WordPress’ would be a better choice than ‘WordPress install instructions’. Make sure your keyword represents what your post is about. Relevancy is key in the world of SEO. Use the keyword in multiple places throughout each post – in the text, title, meta description, headers, and alt attributes when possible. However, only use the keyword where it fits in naturally, and don’t force it into every header and paragraph. That’s called ‘keyword stuffing’; search engines will pick up on that tactic quickly and penalize you for it. The most important thing is that you write primarily with the reader in mind, rather than search engines. While SEO is important, it shouldn’t come at the expense of the visitor’s experience. This is an excellent example of a long-form, quality blog post. As you learn more about SEO, you’ll come to understand that while keywords are important, they mean little if your content isn’t high-quality. Google and other search engines use complex algorithms to determine page ranking, and those algorithms focus heavily on quality, length, and relevance to users. This means you’ll be better off creating long, in-depth posts that fully explore a particular topic, rather than a lot of short, surface-level content. Search engines will prioritize quality posts, and readers will prefer them. Creating content visitors actually want to read will increase page views, links back to your posts, and shares on social networks. Therefore, for each new post you write, ask yourself if it provides valuable, interesting, and engaging content. Give your readers something to think about, respond to in comments, and share with their friends. After all, Google’s algorithms change constantly and are kept secret. Rather than obsessing over the latest small changes to those algorithms, your best bet is to focus on what is always going to matter: quality content. Once you have a few posts published on your blog, it’s a good idea to start linking back to them in your new content. Internal links are factored into the algorithms that determine page rankings, so including relevant ones will make both your new and old posts more visible. Bots also find it easier to navigate and map out your site when you provide them with plenty of links between related entries. Of course, internal links are also valuable to human visitors. They encourage readers to peruse your other posts, making it more likely they’ll get hooked on your blog. Furthermore, and referring back to SEO benefits, readers will click on more pages and spend longer on your site, increasing their engagement and proving to search engines that people find your blog valuable. Only link to related blog posts at relevant points, because readers are more likely to click on them if you do so. Add links where it feels natural, and don’t overdo it – you want each one to feel necessary rather than forced. Make sure your link text accurately represents the linked content. Something descriptive like ‘using internal links effectively’ is more helpful to the reader and to bots than ‘this page’ or ‘click here’. If you get into the habit of interlinking between new and old posts, you’ll reap the rewards down the line. Linking to external sites is just as important as linking back to your own content, and is another strategy that can improve your search rankings when done right. Most importantly, linking to related pages and articles is a way to better serve your readers, by providing extra information and actionable next steps. It improves your credibility, and saves you from having to repeat information that you could just link to instead. Finally, external links can encourage the owners of those sites to return the favor and link back to your blog. Link out to quality, trustworthy sites. Readers will be grateful for it, and these sites will be highly ranked in search engines already, which means you’ll benefit more from the association. Prioritize relevant content. Bots are smart enough to notice whether or not your links lead to related pages that users find useful. Don’t spam links. As with internal links, external links should only be used when there is a good reason to do so. Overwhelming your readers with links isn’t helpful, and the more you include, the less value bots will assign to each one. As a rule of thumb, look to link out to at least one or two external pages within each post, and ensure those links help the reader to understand related subject matter better. This blog’s categories categories are clear, helpful, and easy to distinguish between. Once your blog has been up and running for a while, you’ll find yourself with a sizable catalog of posts. You’ll want readers to be able to navigate your archives and find the content they want. The best way to ensure this is to use categories and tags to provide a structure for your blog. A blog with a clear, easy-to-understand structure is not only useful to your readers, but by extension improves your overall SEO. Bots will be better able to understand what each post is about (and therefore make it visible in relevant searches) if you provide that information upfront. Also, when each individual page has its own descriptors, your posts are less likely to end up competing with each other in the rankings. Use categories to assign posts to general topics and groupings, and use tags to describe the subject of each post in more specific detail. Make both categories and tags helpful to your readers by sticking with words and phrases that are as simple and unambiguous as possible. Limit the number you use per post. The more categories and tags associated with each page, the less useful they are in helping readers navigate between related content. A good rule of thumb is to stick with one category per post, and say 3–5 tags. A simple way to differentiate categories and tags is to see categories as your table of contents, and tags as your index. Stick with that mindset and you won’t go far wrong. While older, more established posts often do very well in search rankings, Google and other search engines also give priority to fresh content. Frequently adding new posts is an effective way to improve your rankings and show the bots that your site contains plenty of up-to-date, relevant entries. New content keeps readers coming back, and gives you more opportunities to provide links between new and old posts. Plus, the more entries you have, the larger your site becomes, providing increased opportunities for higher rankings and increased page views. How often should you publish new posts? Everyone has their own opinion on this question, and there is no ‘correct’ answer. Saying that, unless you have a team of writers or are particularly dedicated to your blog, posting every day isn’t likely a viable option. However, posting too infrequently can cause readers to lose interest in your blog, and makes your pages appear less relevant to search engines. Ultimately, setting a consistent publishing schedule and sticking to it is far more important than any particular update frequency. Readers need to know when new content will be available, and should be able to trust that your blog won’t suddenly go inactive. So come up with a realistic plan, and follow through. For most blogs, once or twice a week is probably a good starting target, but you should experiment to find out what frequency works best for you and your readers. You put a lot of hard work into your blog, and you want to share what you’ve created with the world. So you need to make sure people can find your content – especially given how many competing blogs and websites are out there. Fortunately, optimizing your blog for search engines doesn’t have to be overwhelming. Choose an SEO-friendly theme, such as Uncode. Install plugins (like Yoast SEO) that enhance your optimization. Link back to your older content in new posts. Include high-quality outgoing links in your posts. Categorize and tag your posts logically and consistently. Do you know of any other proven SEO tips or tricks for blogs? Share them with us in the comments section below!